Daito-ryu is built upon a foundation of six basic elements. These are extremely deep and complex and mastery of even any one of them requires a great deal of time and effort. One’s ability to perform Daito-ryu techniques correctly and fully will only develop through constant and strenuous efforts to take all six into account at all times. The term rei has been translated variously with words such as etiquette, manners, courtesy, decorum, respect, or propriety. However, rei may be generally understood to mean the rules of correct formal personal conduct. Historically in Japan such rules have served in lubricating social and interpersonal relationships and preventing strife among people. Daito-ryu preserves historical forms of correct personal conduct, not because they have any particular relevance to the performance of techniques per se, but because they contain and continue the spiritual mindset of the traditional warrior that pervades and informs the Daito-ryu tradition even today. Metsuke refers to the use of the eyes. Essentially there are two types of metsuke training in Daito-ryu, one called mokushin(lit. “the eye of the mind”), the other called ganriki(lit. “eye power”). Mokushin involves seeing with the “eye of the mind,” often to enclose and envelop an opponent. Ganriki, on the other hand, is a sharp, penetrating gaze that sees an opponent’s intentions and can be used to dominate and control him. Maai refers to the physical distance or interval between things. Maai is often the single most important factor in determining the outcome of a combative encounter. It sometimes happens, for instance, that a combatant thinks he has established a favorable maai only to have it suddenly turn out to be to his opponent’s advantage. Primarily a form of unarmed combat, Daito-ryu focuses on the diligent study of the closer maai characteristic of striking and grappling techniques, although other maai also come into play in some situations. Kokyu refers to breath or breathing. We generate physical power and movement more easily when exhaling or in some cases when stopping our breath, both of which are states of yang. The opposite is true of inhaling, a yin state. Thus, techniques are usually performed while exhaling, often with one breath from start to finish. Similarly, it is considered ideal to time any attack to an instant when your opponent has just exhaled and has just started to inhale again. We take advantage of the openings in an opponent’s defenses offered by yin states, with many counterattacks and defenses timed to coincide with the instant your opponent enters–or is made to enter–a yin state. From ancient times the admonishment to attack where the opponent has been unbalanced has been a fundamental axiom of Japanese combative theory. In the name Daito-ryu Aikijujutsu we see that the term aiki has been placed before the word jujutsu, and it would not be an exaggeration to say that this aiki refers mainly (though not exclusively) to the principle of kuzushi, or unbalancing, the opponent. Indeed a great many of Daito-ryu’s oral transmissions and inner teachings pertain to the various subtle aspects of kuzushi. 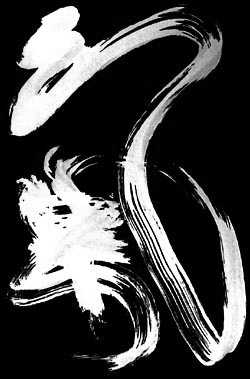 The characters for zanshin have the general meanings of “remain” (zan-) and “mind” (-shin). The term is usually interpreted as referring to a mental state in which you continue to focus your attention on your opponent and the surrounding environment. I have another interpretation, however, which is that the characters for zanshin can also refer to the phrase “Kokoro wo nokosazu” (lit. “Leave nothing of the spirit behind”). This means giving of yourself so completely that nothing remains to be given and so that nothing is held back. When practicing Daito-ryu this means giving your absolute all to the performance to each and every technique. Copyright ©2000 Aiki News. All rights reserved. This article first appeared in Daito-ryu: Hiden Mokuroku Ikkajo, published by Aiki News. For more info, check Daito-ryu: Hiden Mokuroku Ikkajo. Kondo Katsuyuki was born in Tokyo in 1945. He began his training in Daito-ryu aikijujutsu as a teenager under Hosono Tsunejiro and later Yoshida Kotaro. 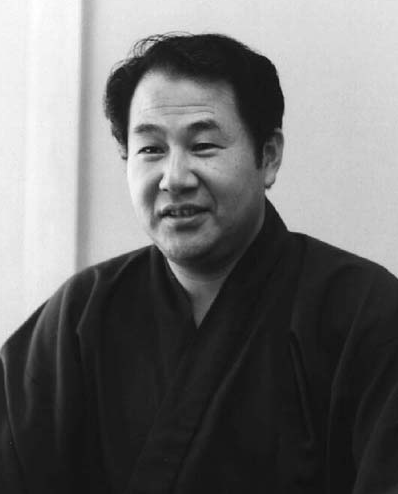 In 1961, he began to make periodic trips to Hokkaido to practice under Tokimune Takeda. He continued his training under the Daito-ryu headmaster for 32 years. In 1970 he opened his Shimbukan Dojo, which serves as headquarter for his Daito-ryu activities. This entry was posted on July 10, 2012 at 4:49 pm and is filed under Aikido, Philosophy, Training with tags Aiki News, aikido, Aikijujutsu, Daito-ryu, Kondo Katsuyuki, Koryu.com, martial arts, Principles, Training, 合気道, 大東流合気柔術, 植芝 盛平. You can follow any responses to this entry through the RSS 2.0 feed. You can leave a response, or trackback from your own site.